In recent years, the ketogenic diet has become one of the most popular weight loss strategies. But you may be surprised to learn that this diet isn’t new — it’s actually been around for over 100 years. And it just plain works. The ketogenic diet has proven to be effective for fighting the obesity epidemic, improving heart health, and treating certain conditions, such as epilepsy. To put it simply, the keto diet is a nutrition regimen that’s rich in high-fat foods and low in carbs. The formula is relatively simple. Most diets suggest making sure that 5% or less of your daily intake is from carbohydrates, which equates to 20 grams for most people. Have you tried going low carb, high fat yet? Let’s take a look at how this diet works with your body to produce amazing results. What happens to your body when you significantly reduce your carb intake? Your body is induced into a physiological state called ketosis. Typically, your body breaks down glucose for energy. 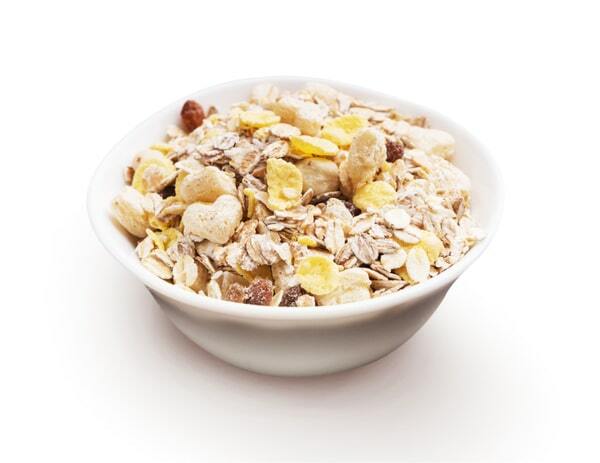 Carbs, your body’s fastest energy source, are quickly converted to glucose during digestion. When you stop eating carbs and your glucose reserves become insufficient to fuel your central nervous system, your body begins to use fat stores for energy. This puts your body in the most effective fat-burning mode for optimal weight loss. You’re no longer just losing water weight; you’re burning fat! Ketone bodies are produced as a byproduct of this metabolic shift, and they are used for energy by your brain, heart, and muscles. Ketogenic diets have raised concerns among some physicians, but this is due to a lack of knowledge and education. Ketosis is often mistaken with ketoacidosis, a deadly condition in which your blood acidity reaches a lethal level. Ketosis actually works with your body to produce the results you want. In addition to weight loss, ketogenic diets have been shown to benefit the body in other ways. Ketogenic diets are routinely used in the treatment plans of individuals suffering from conditions as far-ranging as epilepsy, Parkinson’s disease, ALS, traumatic brain injury, multiple sclerosis, and chronic headaches. Additionally, the keto diet can also help fight other disorders like obesity, cancer, type 2 diabetes, and polycystic ovary syndrome (PCOS). 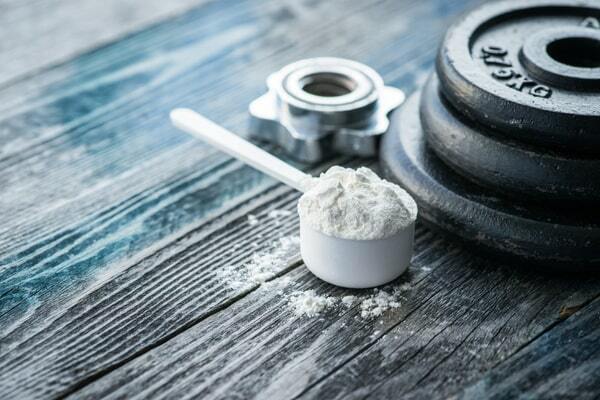 Exogenous Ketones: What Are They, and Who Uses Them? Although following a ketogenic diet is relatively simple, it’s not exactly easy to follow when you’re surrounded by the temptation of the standard American diet — just one snack can cause you to slip up. Any time you go over about 50 grams of carbs, you can kick your body out of ketosis, and the weight could come back. To put that in perspective, 50 gram of carbs is just one serving (3/4 cup) of oatmeal! And as with any diet, it’s almost impossible to follow the keto plan perfectly all the time. That’s where exogenous ketones come in. Exogenous ketones are used when you eat something not keto-friendly. They are typically used by individuals to put their body back into ketosis after a slip-up. Without the use of exogenous ketones, it could take several days to get your body back in ketosis. Exogenous means created externally. Supplementing with exogenous ketones simply means you are adding ketones to your system from an outside source. Though your body produces multiple types of ketone bodies during ketosis, the only one that is stable in supplement form is beta-hydroxybutyrate (BHB). The purpose of supplementing your diet with exogenous ketones is to raise your blood level of ketones quickly, regardless of what you’ve eaten. Exogenous ketones are most commonly found in the form of ketone salt powder. The powder is dissolved into any type of liquid for consumption. Yet, while popular, salt powders are not the most effective way to raise the body’s BHB levels. 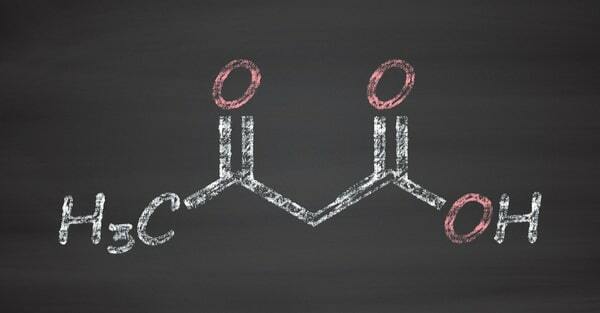 Believe it or not, ketone esters have been around since the late 1970s. Originally, the ester was developed by a Defense Advanced Research Projects Agency (DARPA) government program in order to enhance the physical performance of soldiers. Whether you are using ketone salts, esters, or other exogenous ketone supplements, you will experience an increase in the levels of ketone bodies within your body — the esters just produce more of them. However, it is important to remember that exogenous ketones are not a quick fix in order to eat whatever you want! In order to reap the benefits of a ketogenic diet, you must adhere to it as religiously as possible. Do Exogenous Ketones Do Their Job? So, do exogenous ketones really work to bring your body back into ketosis? It depends on your expectations. However, if you think exogenous ketones will provide your body with a miracle fat-burning cure, you may not be satisfied with the results. Dina Griffin, RDN, from Colorado, explains that there are so many reasons people are drawn to following a ketogenic diet, from its weight loss and muscle repair benefits to its anti-inflammatory and anti-cancer potential. However, many find it difficult to stick with the diet, and they look to exogenous ketones to pick up the slack. Griffin explains that exogenous ketones should be viewed as supplementary to following the ketogenic diet. Exogenous Ketones: What Else Can They Do? Research into the use of exogenous ketones is in its infancy, but so far, the results are exciting. A ketogenic diet can benefit anyone who wants to lose weight, but most importantly, going keto can help individuals experiencing health difficulties. Those who are overweight or obese may reap amazing benefits from the supplementation of exogenous ketones. Unfortunately, obesity is reaching widespread epidemic proportions around the world. Being obese is a strong risk factor for several disorders such as type 2 diabetes, cardiovascular disease, hypertension, and certain types of cancers. Despite decades of “eat less, exercise more!” to cure obesity, this message has failed time and time again. The ketogenic diet, by focusing on increasing dietary fat, leaves individuals feeling full and satisfied instead of hungry and deprived. This is why the effects of the ketogenic diet on obese individuals is one of the most exciting new trends in medical research. In addition to the implementation of a ketogenic diet, new research suggests that adding exogenous ketones may also be beneficial for fighting the obesity epidemic. A study published in the journal Obesity earlier this year revealed that exogenous ketones had beneficial effects besides ramping the body into ketosis after carb ingestion. These results are promising for the use of exogenous ketones to help fight obesity. In addition to supplementing a ketogenic diet and staying in ketosis, exogenous ketones help individuals make better choices by controlling their appetite. Another study published in the Journal of Physiology found exciting results from the use of an exogenous ketone supplement. Although this study examined insulin response in healthy participants, using an exogenous ketone supplement may have future therapeutic potential for those with type 2 diabetes and obesity, which are the main culprits responsible for metabolic disorders and high blood sugar. Recent research shows additional therapeutic properties of exogenous ketones in obese individuals. Intake of the standard American diet, which is high in simple sugars and saturated fat, on top of leading to obesity, type 2 diabetes, and cardiovascular disease, is also associated with deficits in learning and memory processing. Another common health issue of individuals with obesity is insulin resistance, which is when the body’s cells do not respond normally to insulin. When the body is insulin resistant, glucose builds up in the blood, causing high blood sugar levels. Typically, those with insulin resistance have trouble digesting carbohydrates. When carbohydrates are digested, a greater proportion ends up in the liver, where it is converted to fat, leading to more weight gain. This process is also known as lipogenesis. Now that we’ve looked at all the benefits of exogenous ketones and a ketogenic diet, it’s time to look at the potential risks. Ketone salts, while popular (and expensive), are usually comprised of ketones bound to sodium. Consuming ketone salts regularly may be dangerous for individuals with high blood pressure due to their sodium content. It is also important to note that many of the ketone salts and esters available on the market are not approved by the Food and Drug Administration (FDA). This means they are not “Generally Recognized as Safe” as a food ingredient for consumption. Use caution when considering the use of exogenous ketones. Consult with your doctor before you make any changes to your nutrition and health routine. So, What’s the Verdict? Do Exogenous Ketones Really Work? The short answer is yes... as long as you have realistic expectations. Exogenous ketones can help you get a quicker start if you’re just beginning the ketogenic diet or help you get back into ketosis if you slip up. They also have shown an ability to fight high blood sugar and protect you from some of the negative health effects of obesity and type 2 diabetes. But they aren’t a magic weight loss pill.